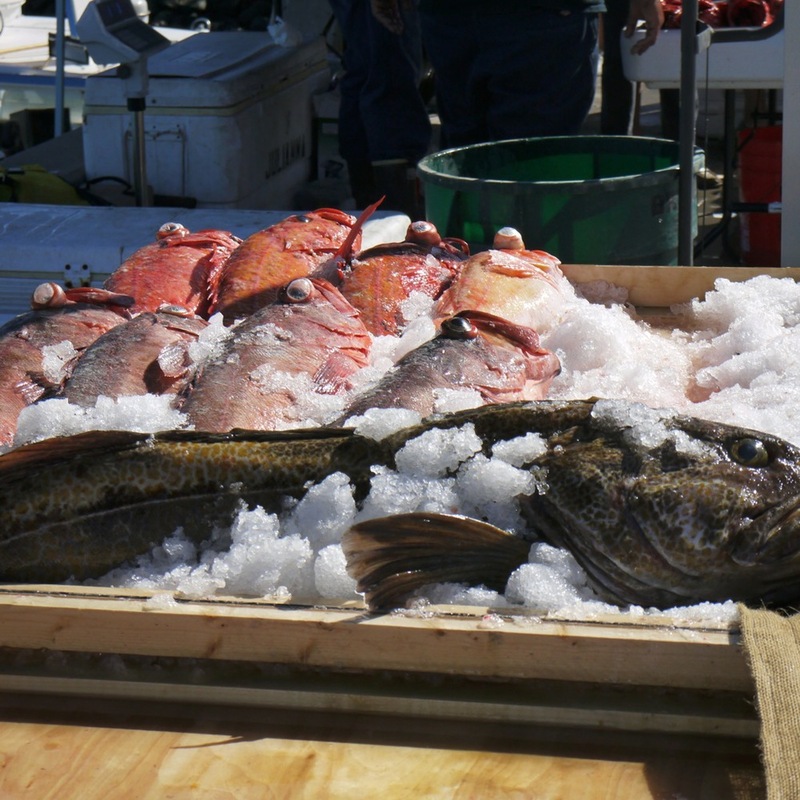 Lots of fun yesterday down at the Tuna Harbor Dockside Market. Families got to sample (and learn how to make) some wonderful foods from local fishes; see and hold live local marine seafood (such as urchin and crabs); learn about the Tijuana River National Estuarine Research Reserve; play a "fishing for facts" game (very popular); and decorate their own reusable shopping bags with sea life stencils. It was a huge turnout and a perfect day for the event. My thanks to California Sea Grant, Tijuana River National Estuarine Research Reserve, Slow Food Urban San Diego, San Diego Fishermen’s Working Group, University of San Diego, The Port of San Diego, Collaborative Fisheries Research West & the Ocean Protection Council, volunteers from Ocean Discovery Institute, and the wonderful chefs who made this possible!